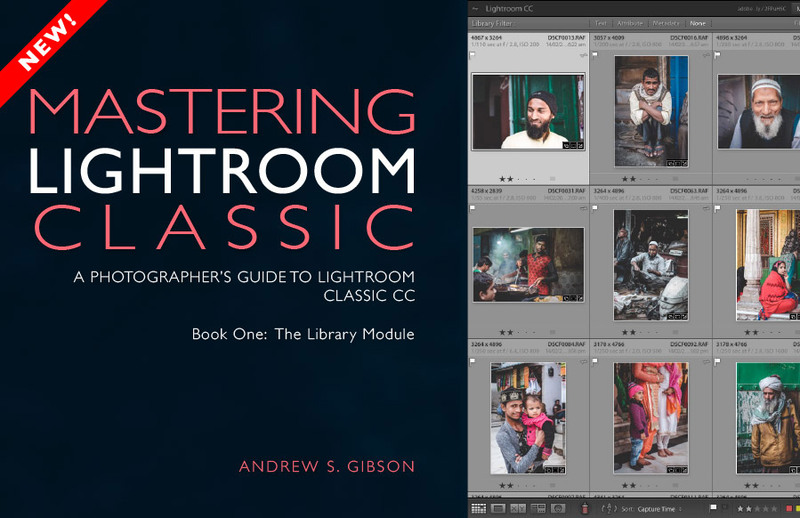 Now that Adobe is no longer developing Lightroom 6 users of older versions of the software have to upgrade to Lightroom Classic CC if they want to use the latest and most advanced edition of Lightroom. If this applies to you then I’m sure you have plenty of questions about the upgrade process. Let’s take a look at what it involves and what you need to know in order for the update to run smoothly. By the way, if you’re not sure what the differences are between the various versions of Lightroom then I suggest you read our tutorial Which Lightroom Version Do I Need? 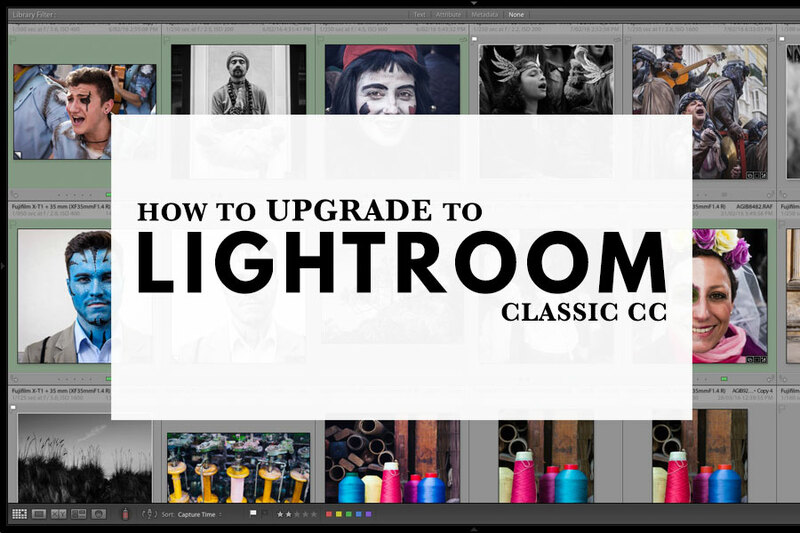 Now that you’ve decided to upgrade to Lightroom Classic CC you’re probably eager to get on with it. But there are several things you should do first to make sure the process runs smoothly. Check your computer meets the minimum system requirements to run Lightroom Classic CC. The first step, as with any new software, is to check that your computer’s hardware specification is good enough to run Lightroom Classic CC. If you’re using an older version of Lightroom because you have an older computer, you may have to buy a new machine before you upgrade. This Adobe help page lists the requirements for Windows and Mac OS computers. Check Lightroom Classic CC works with your operating system. If you’re a Mac User, you need El Capitan (OS X 10.11) or later. If you’re a Windows PC user then you need Microsoft Windows 7 with Service Pack 1 (64-bit) or later. Note that Lightroom Classic CC doesn’t work with 32-bit versions of Windows. Make a backup copy of your Lightroom Catalog. This is a precaution in case anything goes wrong during the Catalog upgrade process. It’s unlikely, but you never know what might happen. Lightroom makes a copy of your Catalog when you upgrade to Lightroom Classic CC, but it never hurts to be over-cautious when it comes to your important data! Make a note of the location and name of your Lightroom Catalog. 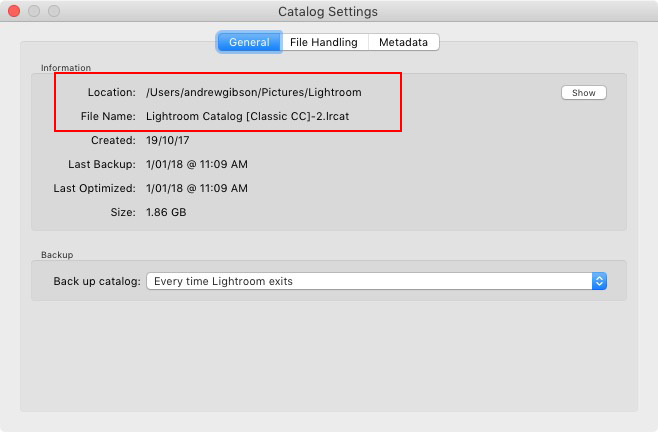 Lightroom Classic CC should be able to find your Catalog automatically. But just in case it doesn’t it’s helpful to know where your Catalog is saved and what it’s called. You’ll find the location under the General tab in Catalog Settings. The next step is to go to the Adobe website to sign up for the Creative Cloud Photography Plan (click the link to go to the Adobe website). 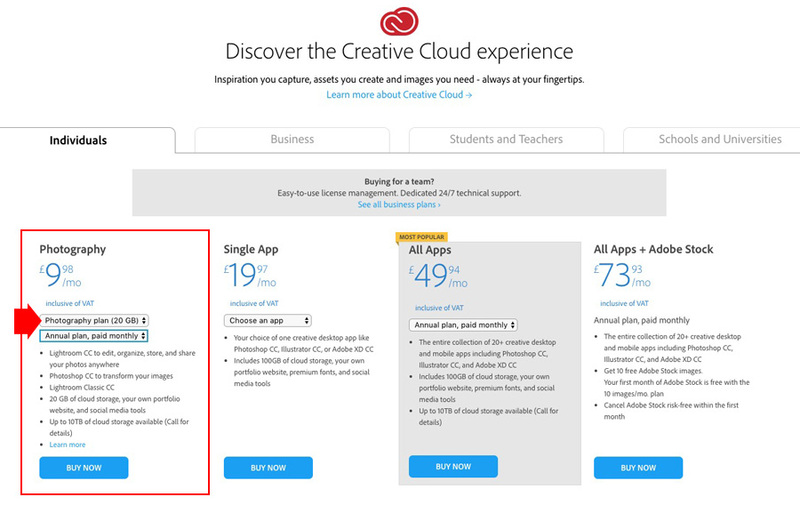 You’ll have to log into your Adobe account (or create one) to complete the buying process. Before October 2017 there was only one subscription plan. Now there are three! So it’s important to make sure that you select the right one. These are your options. 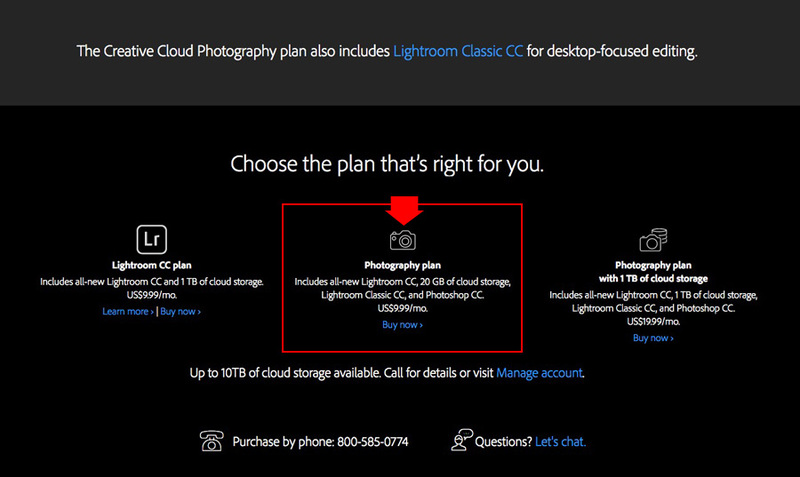 Lightroom CC plan: This gives you Lightroom CC, but not Lightroom Classic CC or Photoshop CC, and 1TB of storage space. Photography plan: With this you get Lightroom Classic CC, Lightroom CC, Photoshop CC and 20GB storage space (best option for most photographers). Photography plan with 1TB storage: Gives you everything in the other two plans, but combined. Important: The best option for most photographers is the Photography plan (the middle option, marked below on a couple of displays you might see). Only select one of the other plans if you know what you are doing and are prepared to pay extra for online storage of your photos. Make sure you’re logged into your Adobe account. You need the Desktop Downloads link (marked below). Bear in mind the Adobe website may look different in your country, or that Adobe may change the design after I write this! Click the link and go to the Creative Cloud app (marked below). You need to install this on your computer first in order to download and install Lightroom Classic CC (not to mention Lightroom CC and Photoshop CC). 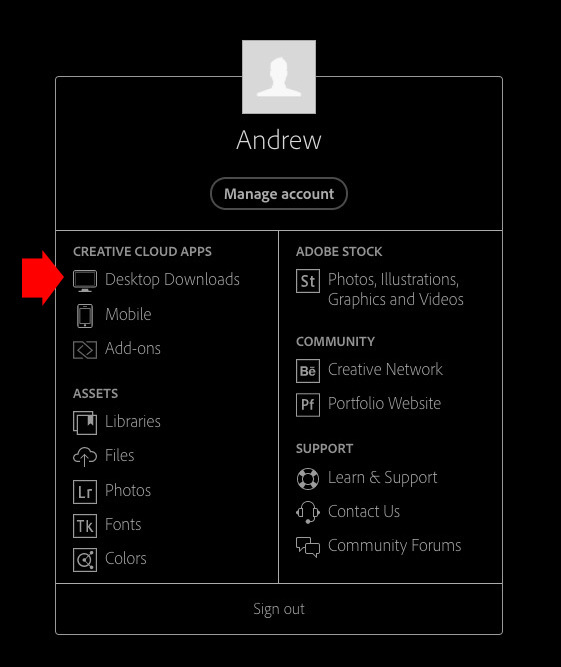 Open the Creative Cloud app and go to the Apps tab. Below you’ll see a list of available Adobe apps. Look for Lightroom Classic CC. If you haven’t installed it yet you’ll see a blue Install button. Otherwise the button will say Update (if you don’t have the latest version installed) or Open. Click the Install button to download and install Lightroom Classic CC. 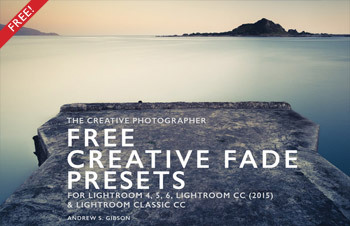 Repeat with Lightroom CC and Photoshop CC, if you want to install them as well. 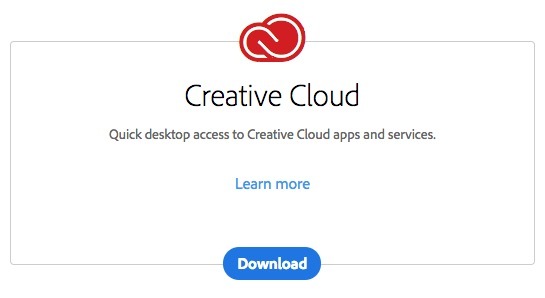 If you’re upgrading from Lightroom 6 or earlier then the Creative Cloud app should automatically uninstall the older version (I’m not sure if this works with all older versions of Lightroom). To change this, after you click on Install in the Creative Cloud app click on Advanced Options and untick the Remove Old Versions box. It’s a good idea to delete your older version of Lightroom if you’re running short of hard drive space. Otherwise, you may feel more comfortable keeping it in case you ever need to use it – an option if you decide to cancel your Lightroom Classic CC subscription. Another option is to let another family member use your standalone version of Lightroom. For example, my wife uses Lightroom 5 on her computer, and I use Lightroom Classic CC on mine. Lightroom 5 does everything she needs and it’s nice to see the software still being used. When you open Lightroom Classic CC for the first time it searches your computer for your Catalog. It should find it automatically. If it doesn’t, just click the Choose A Different Catalog buttons until the name of your Catalog appears, or Lightroom lets you search for it on your computer (that’s where knowing where it’s saved and what it’s called helps). 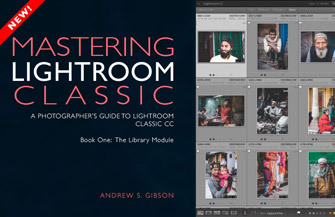 Lightroom needs to upgrade the Catalog for it to work in Lightroom Classic CC. Before it starts it displays the window below to let you know what’s about to happen. Click the Upgrade button to begin. If you have multiple Catalogs, you can convert the others to work in Lightroom Classic CC by going to File > Open Catalog and upgrading them one at a time. Make backups first just in case. When the Lightroom Classic CC Catalog upgrade process is finished you will have at least two separate .lrcat files. The new version has a number appended onto the end of your old Catalog’s file name. Lightroom changes the file name so that your new Catalog doesn’t overwrite the older one. Unfortunately the similarity in Catalog names means that it’s easy to get the two Catalogs confused. It’s a good idea to rename your new .lrcat file to something like “Lightroom Classic CC Catalog”. You have to rename your previews and Smart Previews files as well, otherwise they won’t work. They share the same name as the Catalog file, with the extensions “Previews” or “Smart Previews” added on at the end. They also have a .lrdata extension rather than the .lrcat extension the Catalog uses. I suggest you hold onto your old Catalog for at least a few weeks until you are sure the upgrade has gone according to plan. Now, double-click on the renamed Catalog file to open it in Lightroom. To make sure Lightroom opens this Catalog automatically in the future, go to the General tab in Preferences and set When starting up use this Catalog to Load most recent Catalog. Lightroom Classic CC has a new process version. The older process versions have been given new names (see table below) but are otherwise unchanged. 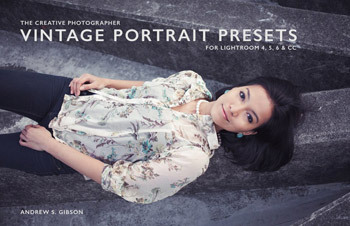 The new process version (PV4) is similar to the one used in Lightroom 4, 5 and 6 (Process 2012). The main difference is that it enables the new Range Masking tool and more accurate masking from the Auto Mask tool. This is what you need to know about the new process version. New photos imported into Lightroom Classic CC have Process Version 4 applied automatically. Photos previously developed with older process versions are opened using that process version. …You have used Auto Mask on that photo, in which case it stays at the earlier Process Version until you update it yourself. 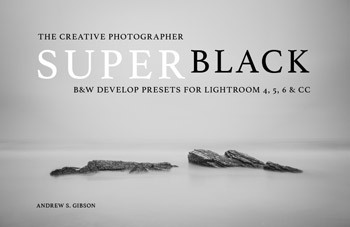 Any Develop Presets you have created or bought that work in Lightroom 6 or Lightroom CC (2015) will work in Lightroom Classic CC. If you update from Process 2012 to Process Version 4 you won’t see any changes to the tonal values of your photos, despite the warning given by Lightroom. Q. Should I clean up Collections and Presets first? A. No, there’s no need to bother with this. You can clean up your Collections and Presets any time. Q. 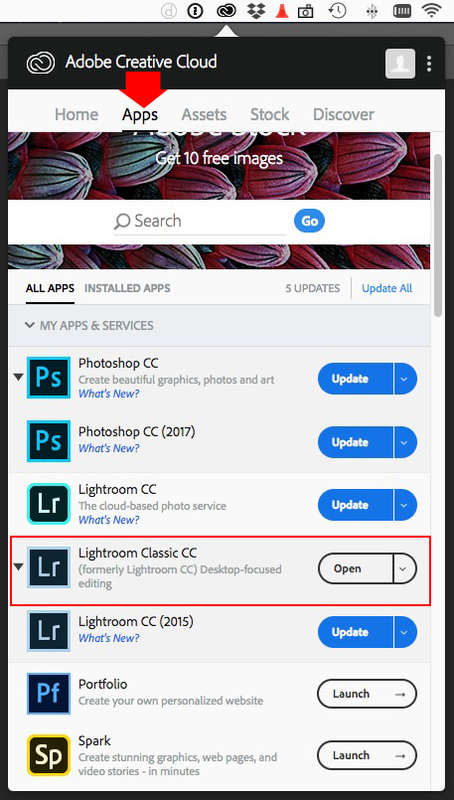 Is there a way to open my Lightroom Classic CC Catalog with Lightroom 5 or Lightroom 6? A. The short answer is no, there isn’t. The main reason is that Lightroom Classic CC has tools that earlier versions don’t. 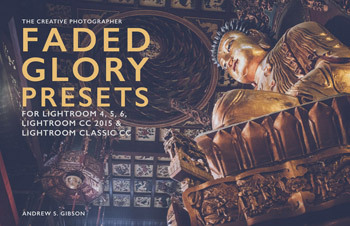 Photos developed using these tools won’t be recognized by earlier versions of Lightroom. The only way around it is to re-import your photos into the older version of Lightroom. Here’s how you prepare for it. 1. Go to the All Photographs Collection in the Catalog panel in the Library module. 2. Select all the photos in that Collection (which contains all the photos you’ve imported into your Catalog). 3. Go to Metadata > Save Metadata to Files. That tells Lightroom to save your edits (both metadata and Develop module related) in a sidecar .xmp file (or within the file itself if you use DNG, JPG or TIFF). Now your photos are ready to import. But bear in mind that your earlier version of Lightroom won’t recognize any Develop module edits made using Lightroom Classic CC tools or sliders that it doesn’t have. There are also some things that won’t be saved, such as Collections, Flags, edit history, stacks and Virtual Copies. 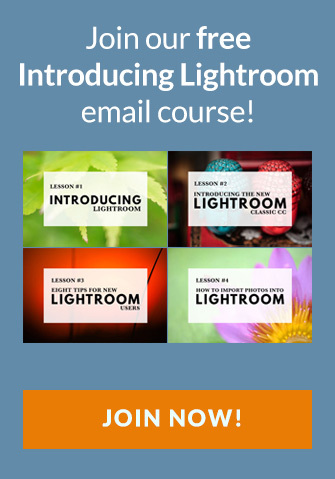 Learn more about Lightroom with these tutorials and lessons. Thank you for this very informative and comprehensive guide to upgrading to LR Classic. I am considering upgrading to Classic in the near future and am so pleased to have your instructions to hand. You’re welcome Marie, glad it’s helpful! Just a quick question to which, I have been unable to find an answer. I currently own a perpetual license for Lightroom 6. Due to a new camera purchase, I would like to try -as you suggest- the Photography Plan. While I try the ‘new’ software I would like to continue using Lr6 on existing catalogues. Could you inform me if both Lr6 and LrCC Photography can coexist on the same computer? If so, any special instructions? Many thanks in advance and thank you for your informative tutorials. Hi Bill, you can use Lightroom 6 and the Lightroom Classic trial on the same computer. But you need to know that Lightroom Classic will update your Catalog when you run it. If you update your Catalog, then decide not to buy the photography plan, you can’t use the updated Catalog in Lightroom 6. I think the best course of action is for you to make a duplicate of your Catalog (or one of your Catalogs, it sounds like you have more than one), rename it so you know that it’s the one you’re using with Lightroom Classic, then let Lightroom Classic update the duplicated Catalog. That way you still have the Lightroom 6 version. Hope that makes sense. Vey clear explanation and solution path. When combined with your “How to…” article above it provided me with the solutions I needed. I am still debating whether I should embark on a ‘software rental’ plan with Adobe or use one of the many options available, although that is grist for a different mill.